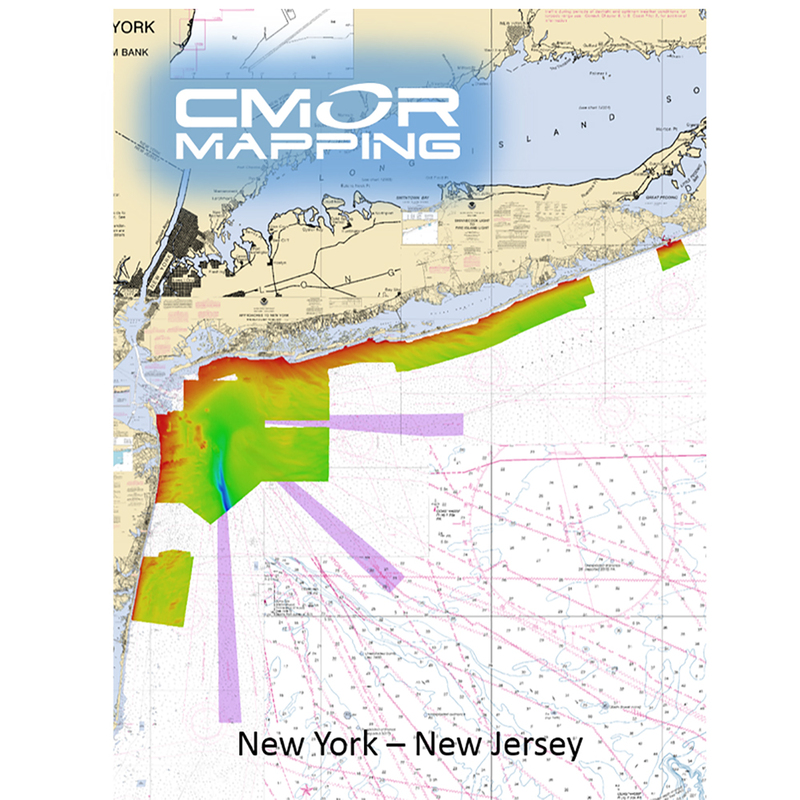 The New York-New Jersey CMOR cards covers 787 sq miles of the nearshore waters between the South Shore of Long Island down through Manesquan NJ. Whether you've been fishing this area for stripers and blues your whole life, or you're new the area, you will be sure to have many new options with the detailed bottom data shown. There are literally hundreds of wrecks and artificial reef structures clearly visible.